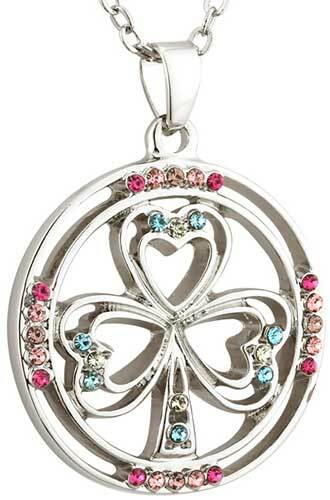 This shamrock necklace features an open filigree design that along with the open rim of the circle is enhanced with pastel colored crystals. The shamrock pendant measures 1 1/8” wide x 1 1/2" tall, including the jump ring and the chain bail, and it includes an 18" long rhodium plated chain. 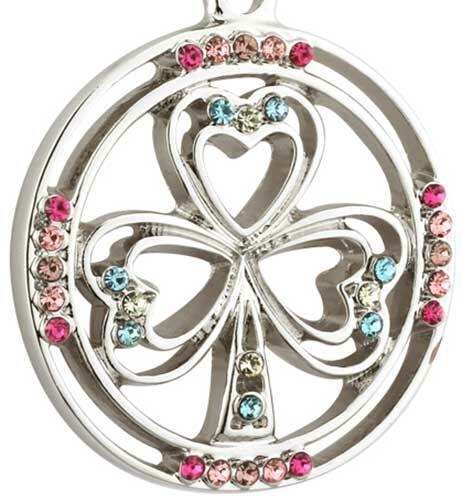 Shamrock pendant and stud earrings are rhodium plated designs that are enhanced with crystal leaves.